Animal & Friends figurines for your DIY cake decoration! 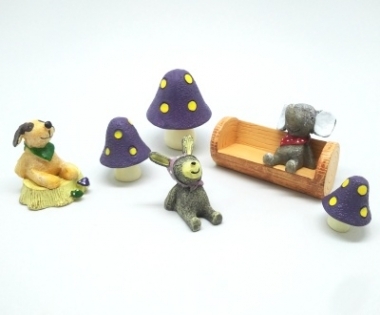 Set comes with 3 animals, 3 mushrooms, 1 tree log & 1 bench. Perfect as ornament for home decor too! Est. 4-6cm height. Does not come in gift box.